Stars of the big and small screen are set to attend the 25th BAFTA Cymru ceremony, which honours excellence in broadcasting and production within film and television in Wales, and will be joined by a host of famous faces from across the worlds of theatre, music and sport. DJ and presenter Huw Stephens returns to host the ceremony for a second time. Those expected to grace the red carpet include, but are not limited to, BAFTA-winning comedian and actor Michael Palin, BAFTA-nominated comedian Terry Jones, BAFTA-winning make-up artist Siân Grigg, BAFTA Cymru-winning presenter Lowri Morgan, actors Robert Pugh (2012 recipient of Sian Phillips Award), Alexa Davies, Jacob Ifan, Richard Elis, Spencer Wilding, Ffion Dafis and comedian Elis James. Presenters and other attendees confirmed to date include actress Catrin Stewart, who won Best Performance in a British Feature Film at Edinburgh Film Festival this year for her role in The Library Suicides/Y Llyfrgell. 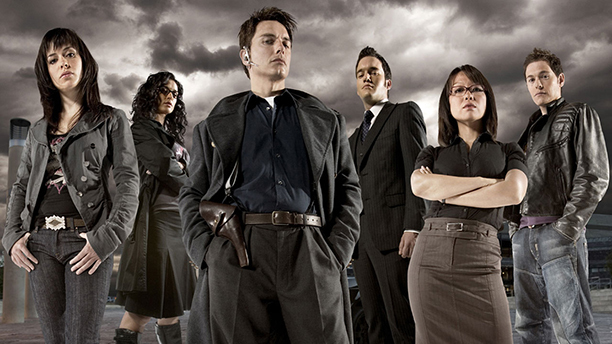 To celebrate 10 years of Torchwood, actors Gareth David Lloyd and Naoko Mori will be in attendance as will BAFTA Cymru Chair, Angharad Mair. Previous BAFTA Cymru winners Eve Myles (Torchwood), who is currently on our screens in Victoria, Sara Lloyd Gregory and Sian Phillips will also be in attendance. The event will be streamed live on the BAFTA Cymru website, www.bafta.org/wales, as made possible by the event’s sponsors Gorilla Post Production. And for the second year running we will be LIVE on the Red Carpet and covering the event on all of our social media as Official Press.